The Dutch Design Chair is famous from festivals and concerts. 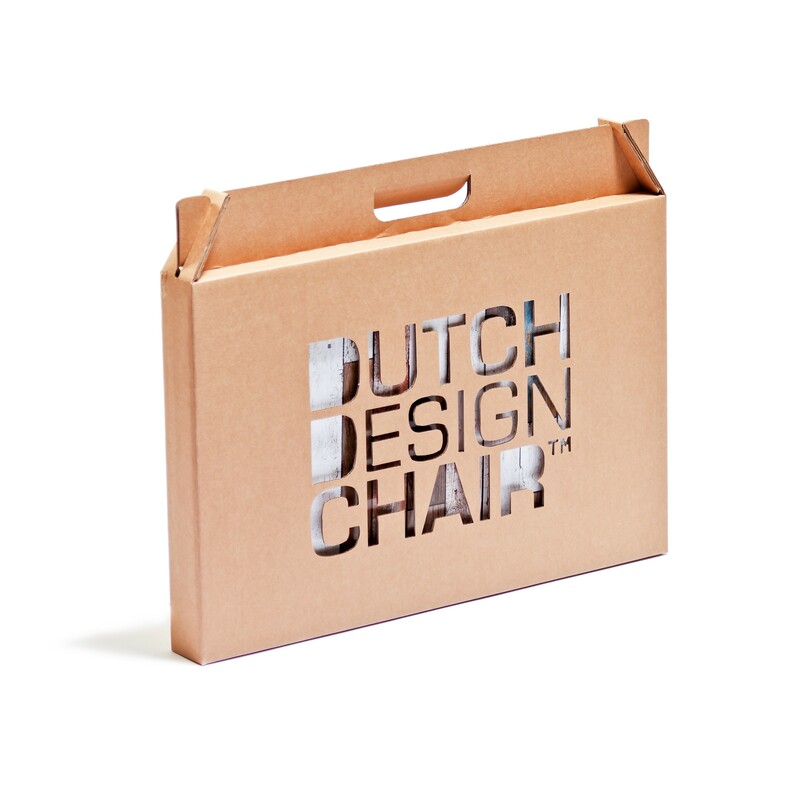 This folding cardboard stool was designed by Tim Várdy and introduced during the North Sea Jazz festival in The Hague. The foldable stools are indeed made of cardboard with a light weight, but thanks to their special design, can hold up to 200kg. Today, these stools are famous worldwide and can be seen at festivals and concerts. 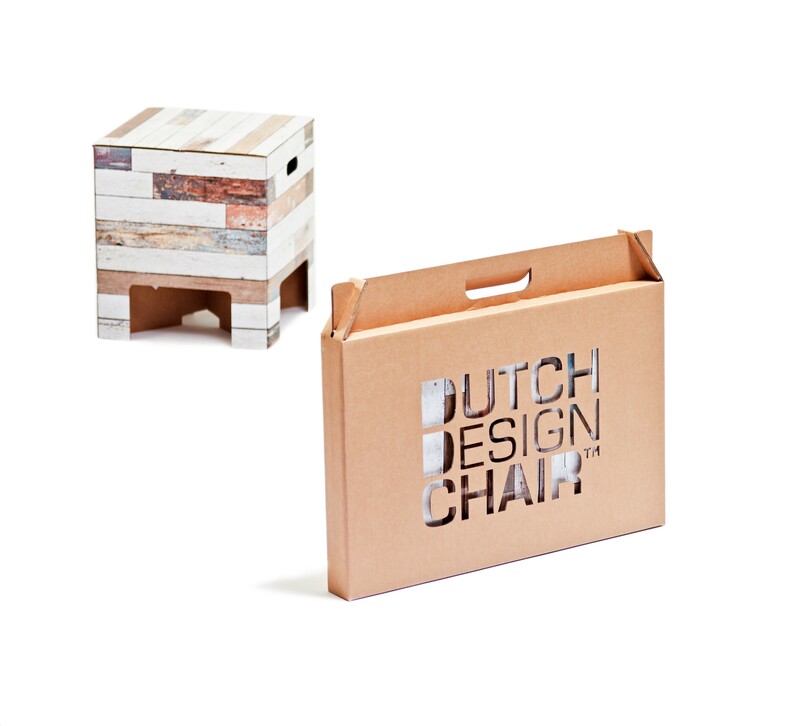 This Dutch Design stool or chair Beachwood is made of FSC certified cardboard. The innovative design ensures the stool can hold up to 200kg. 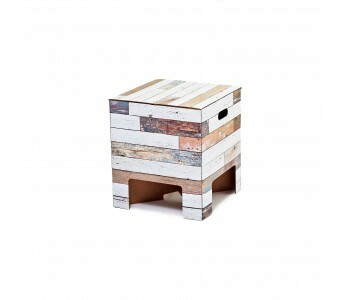 The stool comes in a handy and beautiful cardboard box, so you can easily take it with you. The stool can be set up within a minute. 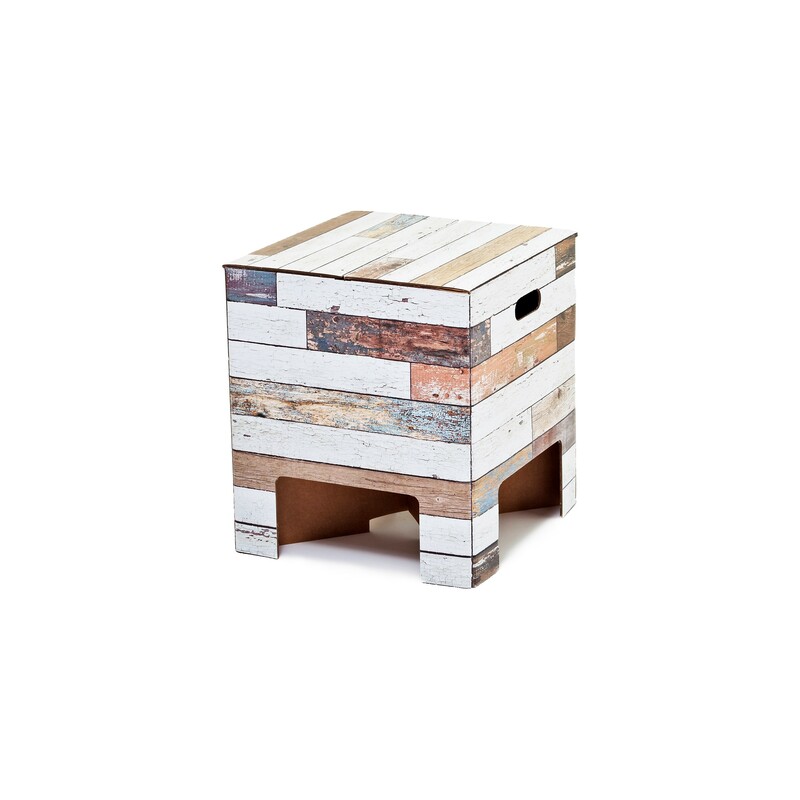 When folded correctly, the stool is 30 cm wide, 30 cm deep, and 34 cm high. 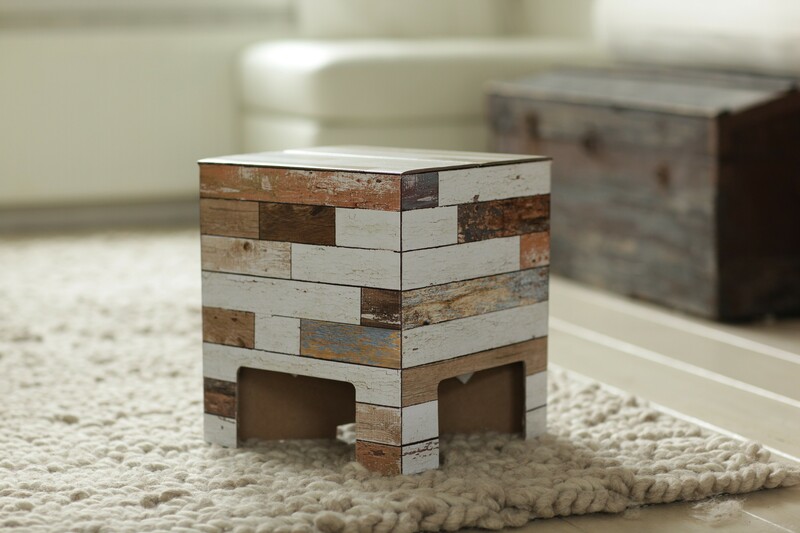 You can take this Dutch Design Beechwood stool with you everywhere you go. The unique design also makes it suitable as a bedside table or side table. And by adding a glass table top, you can create your own stylish coffee table in no time. A row next to each other creates a quick, convenient bench for your guests. Always useful during a birthday or other celebration. The only thing you mustn’t do is leave this stool out in the rain. A few drops are no problem, but the cardboard cannot withstand a lot of water.